*UPDATE* The Everyday English schedule for Spring 2019 is on the right side! You can have fun browsing this website. There are news stories, videos explaining grammar, and other helpful information. The GW English for Academic Purposes department also has a long list of resources that you may find helpful. Take a look! What is the Everyday English program? 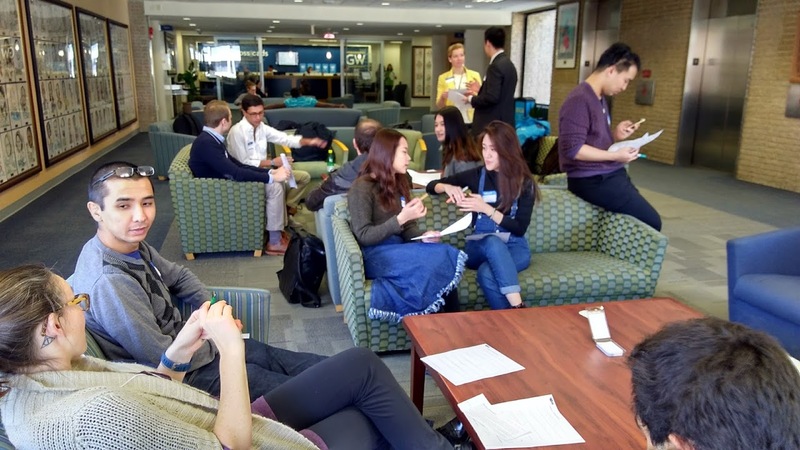 The Language Center, in conjunction with the Snyder Fund and the ISO, has developed the Everyday English Program to help GWU international students improve their conversational English skills. 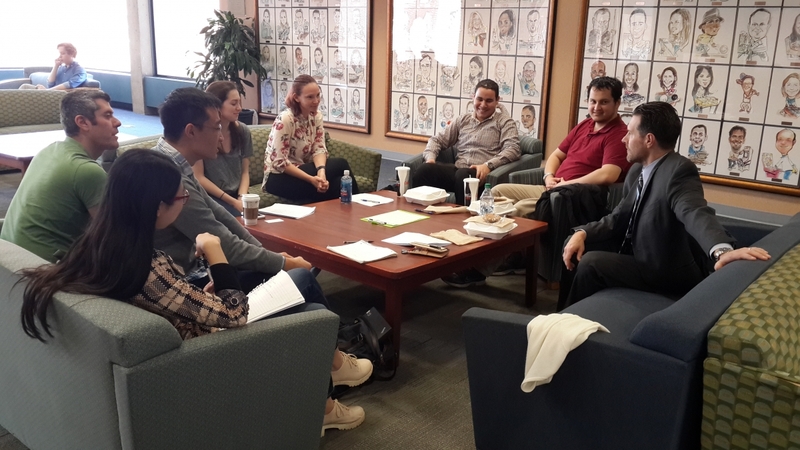 The Everyday English Program is held during the Fall and Spring semesters and is composed of Weekly Conversation Times held every Wednesday from 11:30am to 1:00pm in the Marvin Center. 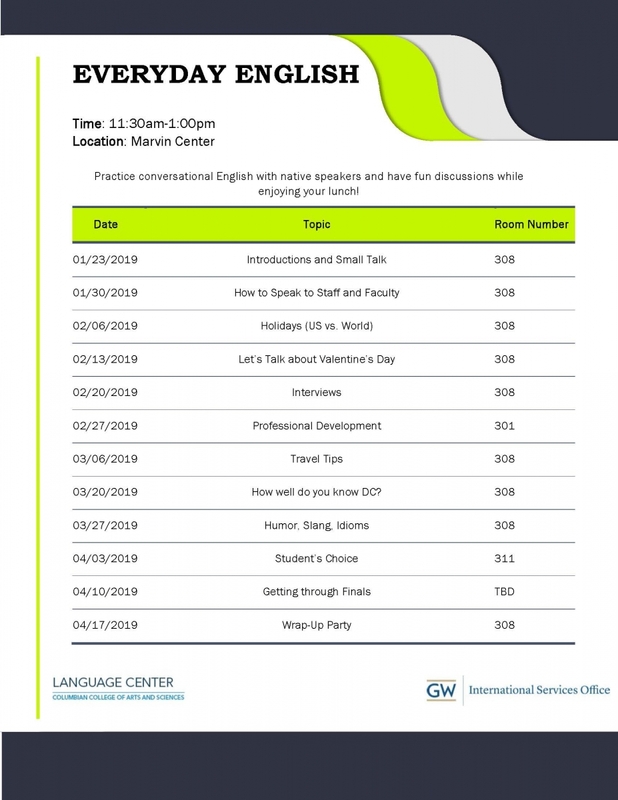 Weekly Conversation Times are informal practice sessions in which international students can interact with native English speaking GWU students and staff and practice what they learned both inside and outside past Everyday English Workshops. RSVP is not required. Please feel free to bring your lunch! Improve your non-academic conversational English in fun workshops with great buddies! If you have any questions that were left unanswered at the end of a session, or have any suggestions on how we can make improvements, please fill out this online comment box and let us know! If you are interested in receiving future emails on the Everyday English Program, please join our email list by completing this form! Q: Do I need to register to attend? A: No-- you just need to sign in when you get there so that we know how many people attended. This information helps us get funding to expand the program and organize special events. A: Bring your own lunch. Sometimes for special events we will bring some snacks and food but, you should always come prepared with your own lunch. Q: Who all is allowed to come to Everyday English? A: Any GWU student who is currently enrolled may attend-- this includes undergraduate and graduate students from all schools. Q: I can't come during my lunch time. Can you offer this program at another time? A: Unfortunately no, we can't. The Everyday English sessions are facilitated by staff and students who volunteer during their lunch breaks, and are usually in class or not on campus at other times. We are encouraging other schools to set up their own programs. If you want to participate in this program, tell your school administrators how much you like this program. Everyone was excited about the Mixer, not just the facilitators. 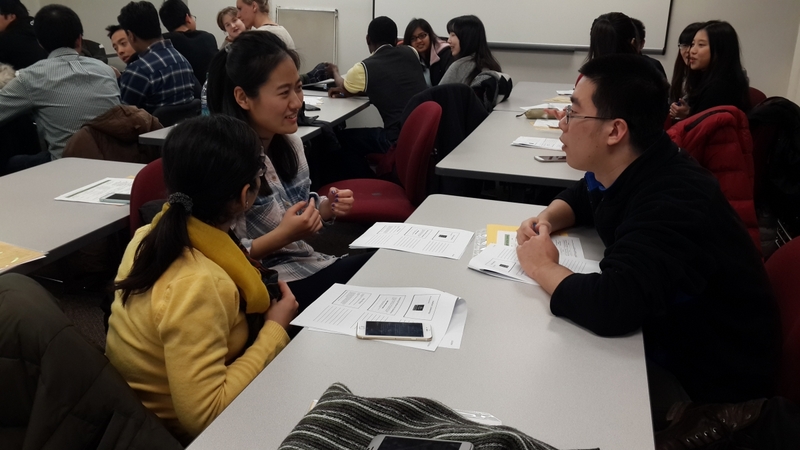 Everyday English facilitator Vicki leads a conversation session with GW international students. 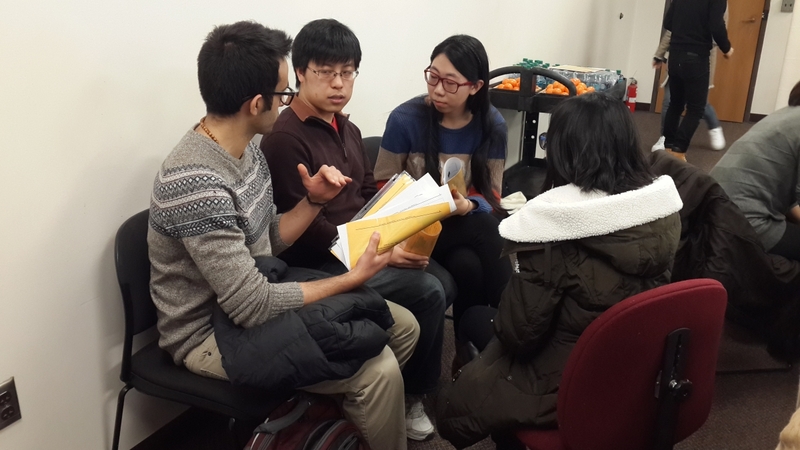 Winwit, a former EAP writing tutor and Everyday English volunteer, leads a small break-out group during an Everyday English workshop. This was our very first Everyday English workshop. We were overwhelmed with how many people showed up! Some students work in a small group to practice the Everyday English workshop material.